Ambition supposedly killed Caesar according to Brutus. It also, however, became a two-edged sword that cut both way. Literature is bursting with characters who are infected with the ‘ambition’ virus who sometime beat the odds but usually die in the effort. Themes of love and death are intrinsically linked in literature Thank goodness for that ambitious personality quirk. It’s one of the core values of storytelling; that the arts illuminates and that life imitates or is it vice versa? 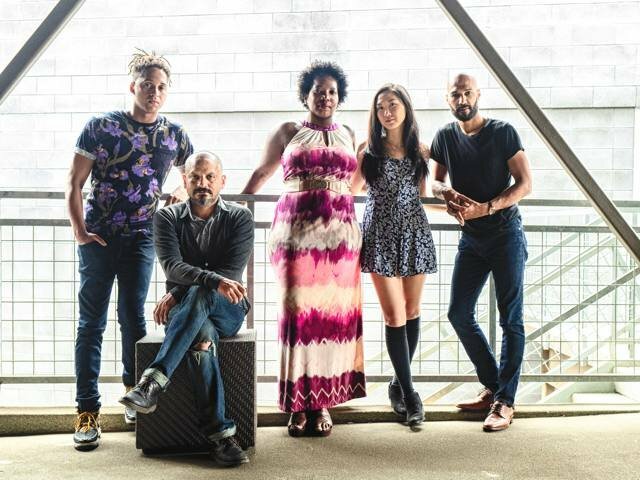 Young award-winning Playwright Will Power (he’s 37), has made a bold decision to roll the dice of ‘reinterpretation’ with his brassy new play “Seize the King”, directed by Jaime Castaneda, now on stage of the La Jolla Playhouses’ Potiker Theatre. Aspiring young actors have for centuries been admonished: One does not improvise the dialogue of the Bard. But playwrights like Mr. Power believe that they are exempt from such strictures and of course they are. Youth is passionate, and youth must have its say be they, actors or playwrights. Well, so much for theatrical traditions. The result of their passion and urgency, however, made “Hamilton” possible on Broadway and with audiences everywhere. It introduced hip-hop singing and dancing to musicals as a new art form that reflected the changes occurring in American society. Diversity and artistic gender-bending casting in the last five years or so is slowly being embraced by audiences everywhere. “The Tempest”, starring Kate Burton as Prospera, at The Old Globe this summer quickly comes to mind. In “Seize the King” for example, King Edward V is played by an Asian-American female. 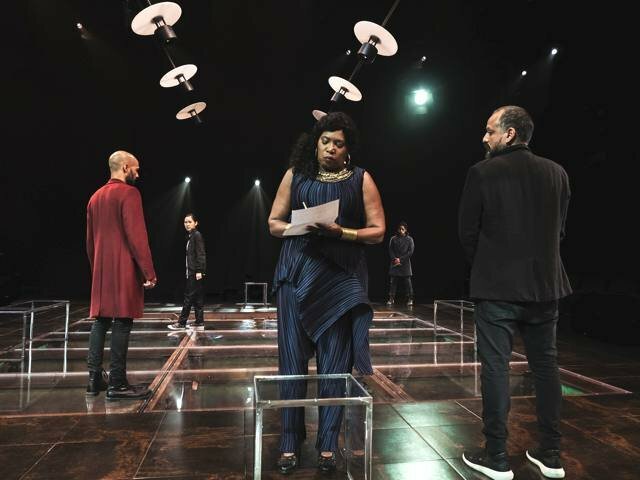 “Seize the King”, is a reimagined “Richard III” production that is tasked with all of the character roles being performed by just five actors. That’s a big bite out of a Shakespearean dramatis personae cast list that can be fraught with disconnects to an audience that remembers the classic mounting of Shakespeare’s historical plays performed with traditional staging. All productions staged in the round, as is, “Seize the King”, run the risk of having at least one actor speaking with his or her back to the audience some of the time. It’s a thorny issue for all involved and is rarely resolved to suit everyone. In director Castaneda’s case, he did his best to minimize any dialogue damage for the audience by his staging. Playwright Power’s newly envisioned story of Shakespeare’s “Richard III” in short, depicts the Machiavellian rise to power through murder, deceit, treachery, and betrayals by Richard, Duke of Gloucester; subsequently becoming Richard III; the last of the Plantagenet Kings. Most of the contemporary-influenced dialogue and anachronisms are delivered in standard American-English. However, some dialogue is delivered warts and all, in the vernacular of current American street language, which may be a little off-putting for some. One of the advantages and pleasures of classic Shakespearean traditional delivery lies in its continuity and fluidity of its structure in iambic pentameter. Once on board with the rhythm of the speeches, audiences were transported to an Arden Forest or to a battle in Agincourt, France, or to a Danish castle without ever leaving their theatre seat. A talented cast of six protean actors tackle all the roles in this “Seize the King” production that is led by an intense, duplicitous, scheming, Jesse J. Perez, in a full-blown energetic performance as the villainous Richard who must become a King. As Richard, Mr. Perez, not only breaks the fourth wall convention, he interacts with the audience from time to time, chatting about his actions in the play. It’s bold, but does it work? Perhaps, it’s a method of drawing the audience closer to the emotions of his character. But it’s a finely judged performance none-the-less. Making all the intrigue, backstabbing, and betrayals work falls to the talents of the following: Luis Vega as Lord Hastings, Young Warwick, and Greygor the Tailor. He has wonderful stage presence and piercing eye contact that commands our attention in his all scenes. Saidah Arrika Ekulona, as Queen Woodville, Gardner2, and Master of the Royal Wardrobe, is a formidable Royal Queen, who takes on Richard; making no friendship with him in the bargain. Julian Parker as Lord Buckingham, Gardner 1, and a Royal servant, scores as a sympathetic Buckingham, who favors Henry Tudor as the future King of England, but never lives to see it happen. Parker has a quiet demeanor, amid all the clamor of war and castle intrigue of “Seize the King”. 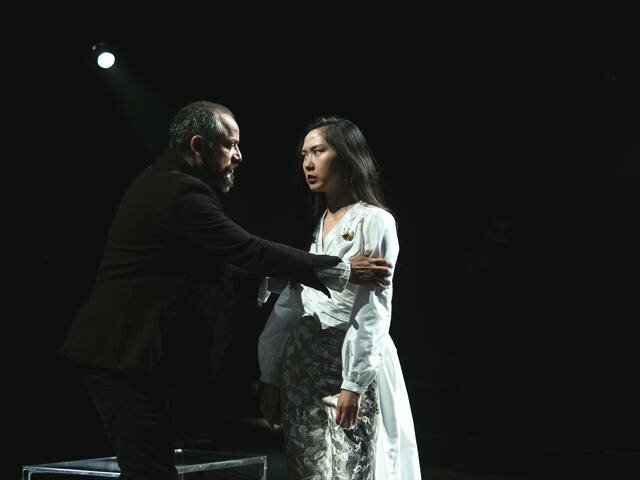 Jenapher Zheng delivers two real shape-shifting performances: as a convincing young Edward V, Richard’s doomed nephew, and as grieving widow Anne Neville, who is being wooed by Richard, the man who killed her husband and her father. In the Greek or Roman theatre, Richard would be wise to dine away from his intended and avoid drinking wine or the eating of the figs. Poison was the favored method of resolving troublesome issues back then. The lives of women then and right up to the 20th century have been ruled by men. Position and beauty may have been helpful in escaping the executioner’s ax in the Middle Ages, but life was tenuous at best. Those good old days were not so good for most. Will Power has been quoted as saying about his role as a playwright creating new paradigms, “Shakespeare wrote for his time. Today, we write for our time.” Daring and confident words from a young-turk playwright, who has the chops to back up his challenge. In the technical department; the creative team led by director Castaneda has Scenic Designer Lauren Helpern reconfigure the Potiker stage from a proscenium format into a theatre-in-the-round acting space. The Lighting Designs of Tyler Micoleau, provide plenty of light for the costumes of Emilio Sosa to be fully appreciated. Sound Designer Mikhail Fiksel provides the ear-splitting, propulsive, sound effects that punctuate, scene-changing interludes. Enough cannot be said, however, about the brilliant riffs and finger technique of drummer Richard Sellers during some of those interludes. The audience loudly applauded following each of his ’performance moments’; deservedly so. “Seize the King” at the La Jolla Playhouse, is a world premiere presentation, that is performed without an intermission (95 minutes), and runs through September 16, 2018.